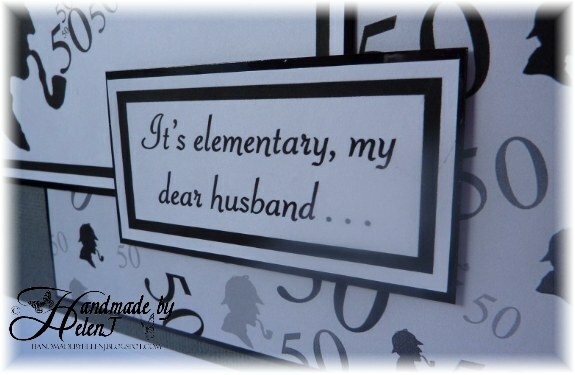 Handmade by Helen J: It's Elementary . 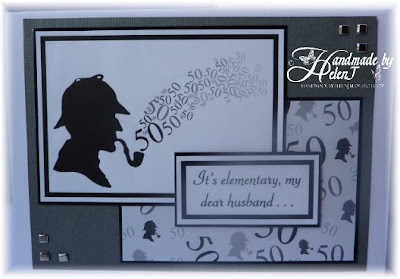 . . .
. . . that I'd make my husband's 50th birthday card with a Sherlock Holmes theme; to say he is an avid fan would be a huge understatement. 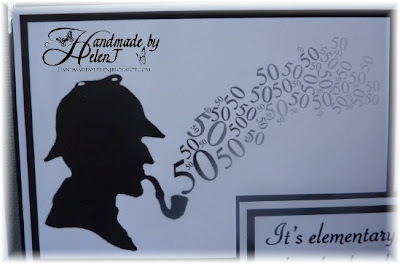 I downloaded a copyright-free Sherlock image from the web then used Craft Artist 2 Professional to create the "smoke", making the number 50s smaller as they went further from the image and applying a fading transparency effect to make the smoke effect fainter. 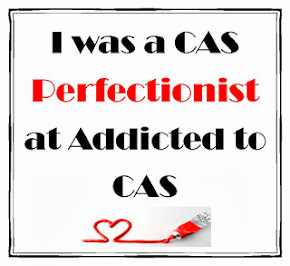 The backing paper was also created in Craft Artist 2 Professional using the stamp mode. Although creating the "smoke" was quite time-consuming, I was pleased with the finished effect and it turned out exactly how I wanted it to. 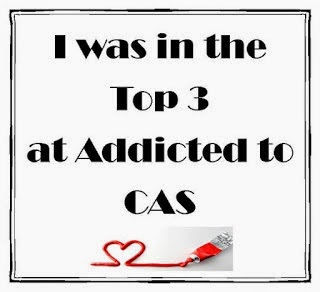 And the best part is, my husband loved it! Image free from internet, "smoke" and backing paper created in Craft Artist 2 Professional.